The term "post-rock" is believed to have been coined by critic Simon Reynolds in his review of Bark Psychosis' album Hex, published in the March 1994 issue of Mojo magazine. Reynolds expanded upon the idea later in the May 1994 issue of The Wire. "Perhaps the really provocative area for future development lies... in cyborg rock; not the wholehearted embrace of Techno's methodology, but some kind of interface between real time, hands-on playing and the use of digital effects and enhancement." Carillon Pour An Angel is pure sophistication. An incredibly refined blend of cut crass, other green notes and delicate florals (mainly muguet, but also lilac and jasmine) that strikes as a solid work of art and takes the distance from most fragrances in the same vein. Basically this is muguet as I never smelled it...delicate, extremely natural with a strong spring vibe that's typical to this flower. Soft leather hints and a slight mossy feel add the right amount of consistency to this ethereal composition, What really fascinates me about this fragrance is Tauer's ability to captivate all the mesmerizing aspects of the Lily Of The Valley which turn this flower to be one of the prettiest, but at the same time one of the most poisonous, around. 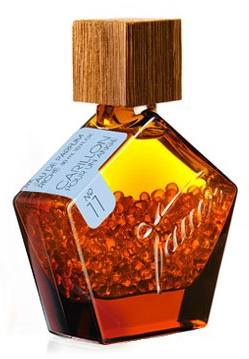 Carillon Pour An Angel is uplifting, comforting and souave but at the same time it hits with a remarkable presence and longevity and a subtle dose of healthy malice. Perfect for spring wear. A new landmark in soliflore perfumery. 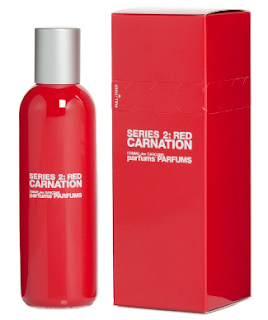 A minimalistic, straight forward and tremendously realistic take on carnation reinforced by a consistent dose of clove and a slightly (slightly) powdery rose note. While carnation is surely the main note at the same time clove plays an important role. It is really well rendered and never overdone so to avoid conjuring images of dental offices, clove cigarettes, baking hams and stuff like that. It adds the right amount of body and paired with a subtle note of pimento provides an intriguing piquant vibe. 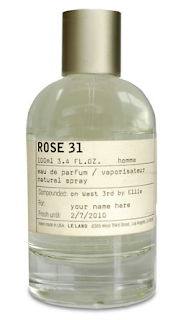 Rose and other floral patterns refine the fragrance with a discreet yet essential presence. Possibly among the most gender neutral carnation-based compositions around. Easy to wear and pretty distinctive. Very well done. If you're familiar with the character of George Sand you'll probably realize that this composition by JF Laporte is a real homage to an unconventional lady, responsible of memorable novels as well as being one of the first women to fight for women's rights. Uncompromising yet classic, resolute yet romantic and absolutely unforgettable. And that's exactly how this perfume smells. A dark opening with a threatening patchouli note joined by rose and contrasted by a strident - yet barely perceptible - bitter citrus. Scary, mysterious but absolutely compelling and somehow familiar. 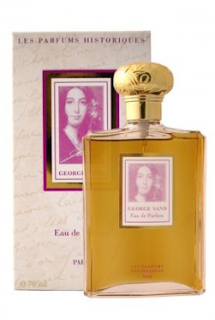 It quickly turns to a very classic sandalwood / patchouli / musk drydown of rare perfection. An incredibly solid composition that's classic in the structure but masterfully orchestrated to perfectly pay homage to one of the most controverisal writer/personality of the '800. Anyone who's expecting a bold and deep rose in the same vein of C&S No.88 should be prepared for a big disappointed. Instead if you're up for a woody/incensey/peppery composition enriched by a transparent rose note, this is a fantastic fragrance to check out. Aldehydes get the party started immediately joined by a massive (but never overdone) dose of cedarwood and some frankincense. A transparent peppery rose floats around adding refinements and character. The fragrance slowly turns into an amazing, slightly powdery, woody/spicy drydonw that lasts for ages (this is the best part IMO even if the huge amount of Iso E Super may result off-putting to someone). Overall, Rose 31 is more of a woody fragrance than a rose one and brings to mind of many Duchafour's compositions (Paestum Rose above all) for its transparency, radiance and general style. It could have been easily included in the Comme Des Garcons Series 2 Red as Cedar with the only difference that it would have costed 1/3 the price. Only a few masculine fragrances have been so praised to reach the hype status of Derby, but even a fewer really deserved their place in the Fragrance Olympus. Derby is surely among these. A leather chypre that strikes as extremely sophisticated, sort of restrained but never too mannered or polished. Multi faceted, rich but not overpowering and incredibly harmonious in its complexity. 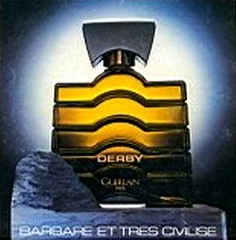 No need to go through notes explanation as Derby is one of those masterpieces that any perfumista should experience without esitation. Mandatory. Among the top masculines of all times together with Knize Ten, Kouros, Yatagan and vintage Fahrenheit and surely among my favorite deliveries from Guerlain. A terrific patchouli/fenugreek/angelica root composition. If you dislike bold and dark fragrances you should better stay carefully away from Luxe Patchouli as it's very powerful and noticeable. The main element is blended with a strong immortelle note providing the typical burnt sugary quality while a strong resinous and moderately sweet base, adds extra body to this thick earthy composition. Less sweet than Sables but richer than Fareb, Luxe Patchouli is a perfect example of a dark fragrance with a modern twist. Unisex, intense, long lasting and unique. Another winner from the guys at Comme Des Garcons.